Copper-striped blue-tailed skink: Chris Brown, USGS. A species of lizard native to the Hawaiian Islands—the copper striped blue-tailed skink (Emoia impar)—is now officially extinct. The species was once common throughout the Hawaiian Islands and is still found on other island groups in the tropical Pacific. But the last confirmed sighting in the state of Hawaii was on the Na’Pali coast of Kauai in the 1960s. Repeated field surveys between 1988 and 2008 on Kauai, Oahu, Maui, and Hawai’i yielded no evidence of their existence. The introduction and spread of a similar skink Lampropholis delicata across the islands appears to temporally follow the decline of Emoia impar, although there is no evidence of competition between these species. It appears that Lampropholis delicata is spreading to occupy the niche vacated by the extirpated Emoia impar. 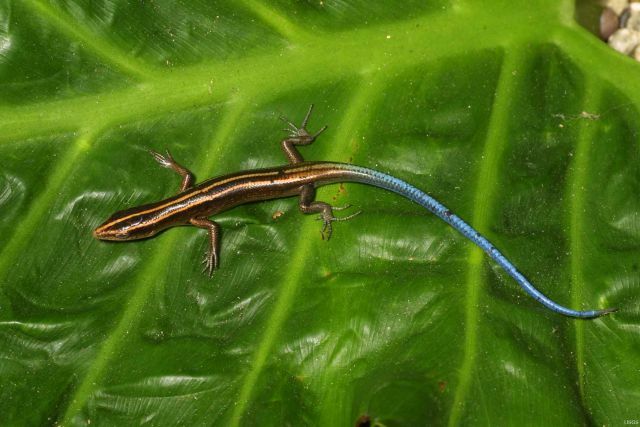 Further confusion exists because the skink Emoia cyanura, which is very similar in appearance to Emoia impar, appears to have been introduced to one site within a hotel on Kaua’i and persisted as a population at that site for approximately 2 decades (1970s–1990s) but is now also extirpated. Big-headed ant (Pheidole megacephala): April Nobile / © AntWeb.org / CC-BY-SA-3.0 via Wikimedia Commons. 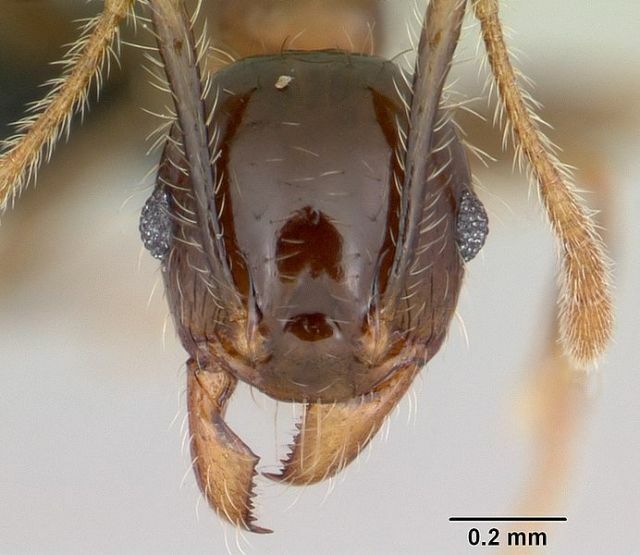 A review of the plausible causal factors indicates that the spread of the introduced big-headed ant Pheidole megacephala is the most likely factor in this lizard decline… This study highlights the cryptic nature of this early species extinction as evidence that current biogeographical patterns of non-charismatic or enigmatic reptiles across the Pacific may be the historical result of early widespread invasion by ants.